Environmentalists threw a small victory party yesterday after Shell announced that it is abandoning its 2013 Arctic drilling plans, but the company insists that this is simply a pause. 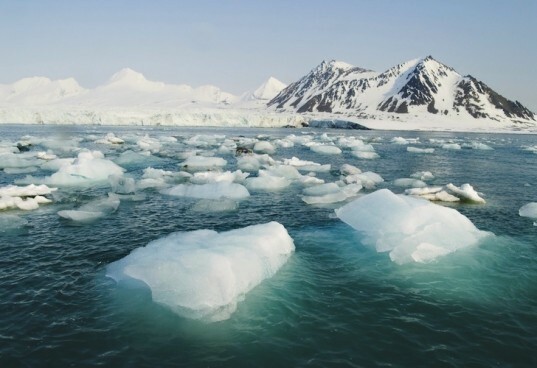 While the Obama administration gave Shell permits to conduct exploratory drilling in the Beaufort and Chukchi Seas, it also enforced very strict rules to prevent environmental catastrophe. But after several incidents, it became apparent that the oil giant is no match for the great white north. Recently the Kulluk drilling barge ran aground in Alaska and last summer another rig almost did the same when it dragged its anchor. After the last incident, an embarrassing scene that ended in Shell’s drill rig requiring a tow, both the coast guard and US government launched an extensive evaluation of the company’s arctic drilling program that has already cost the company $4.5 billion. 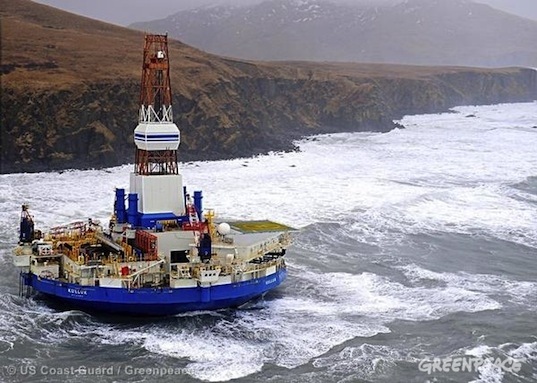 “This is the first thing Shell’s done right in Alaska – calling it quits,” Phil Radford, Greenpeace USA Executive Director said in a statement. “Shell was supposed to be the best of the best, but the long list of mishaps and near-disasters is a clear indication even the ‘best’ companies can’t succeed in Arctic drilling. Secretary Salazar and President Obama gave drilling a chance; now the responsible decision is to make Arctic drilling off limits, forever.